As the last High King of Ireland, Brian Boru is a key figure in Irish legend and history. 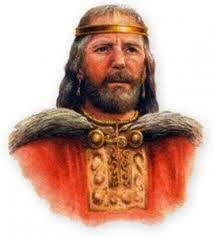 Brian Boru or to use his Irish Gaelic name Brian Borumha mac Cennetig, ruled Ireland from 1002 to 1014. Brian Boru was born in the early 10th Century, in the ancient Irish Kingdom of Kincora, near the town of Killaloe on the banks of the River Shannon in County Clare. Boru’s father was the King of Thomond and his mother was the daughter of the King of Connacht. 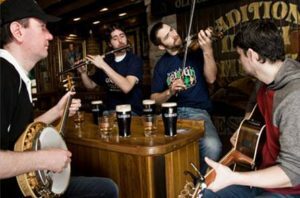 From the 9th Century, Ireland was under constant attack by Vikings, who ransacked churches and villages in the east and began to establish settlements in what later became the cities of Dublin, Waterford and Limerick. When he was still only a child, Brian Boru’s mother, father and elder brother were killed by Vikings and Boru became king of the province of Munster. In 1002, Brian Boru established himself as High King of Ireland after successfully challenging the reigning king to the title and defeating him in battle at the Hill of Tara. As King, Brian Boru sought to rebuild the churches plundered by the Vikings and reorganize the church in Ireland with the Armagh Cathedral at its head. Boru managed to do what no other High King of Ireland had done, he established himself as King of Ireland in more than just name, by forcing all other challengers to swear allegiance to him during a ten-year campaign. But Boru faced rebellion from a Leinster king based around Dublin. By both land and sea, Boru set out to attack the rebels in Dublin, who were bolstered by Viking mercenaries from Orkney, the Western Isles and the Isle of Man. On Good Friday 1014, the two armies met at the Battle of Clontarf. Boru’s forces greatly outnumbered those of the rebels and after a daylong battle, the rebels were routed. But the victory was short lived, for as Brian Boru was praying in his tent, he was murdered by a group of retreating Vikings. According to the annals, the losses of the Battle of Clontarf were very heavy. 6,000 Vikings and rebels were killed, including all their leaders, while Irish losses were around 3,000. But the greater loss to the Irish was that of Brian Boru and his sons, with them passed the last High King of Ireland.